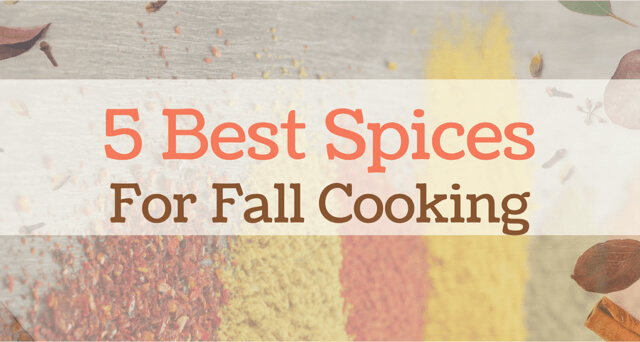 When the fall season begins, it is the perfect time to start using spices more often. Not only will it provide you with new flavors, but you also get a lot of health benefits you might not have been aware of. So then, these are the 5 best spices for fall to promote immunity, strength, and energy with their nutritional benefits. Nutmeg has a lot of nutrients just in a simple serving. It contains plenty of vitamins and minerals, including magnesium, folate, fiber, vitamin B 6, and manganese. If you are suffering from insomnia, nutmeg is an excellent spice to stock. It is often taken with milk and cardamom (another great spice for fall) to induce natural sleep. It helps to soothe the nervous system, clear and calm the mind and help relax you for bed. Nutmeg is pungent in taste and helps tremendously with absorption and digestion of food. You can also use it to relieve constipation. Don’t forget nutmeg also has a natural property that works like menthol to relieve minor pain in the body. You can add Nutmeg any warm beverage for a special twist. Nutmeg is yummy in hot chocolate, hot tea, cider, coffee or eggnog. Make a pan of roasted fall vegetables like squash, pumpkin, and sweet potatoes, and sprinkle some olive oil and nutmeg on top. If you have never tried a shake of nutmeg on fruit, you’re in for a treat! Sprinkle nutmeg on raw or cooked apples, pears, bananas, peaches, pineapple or mango. Or make a fruit salad and dust the top with nutmeg and a squeeze of fresh lemon. Sprinkle nutmeg over pancakes, french toast and breakfast muffins. Also try it on quiche, scrambled eggs, and omelets. Another tasty option is to add it to warm oatmeal, quinoa or any other cereal you like. Stir a pinch of nutmeg into 1 cup warm almond milk with 1 tsp of maple syrup before bed for a good night’s sleep. You are probably no stranger to the delicious taste of cinnamon. Nearly everybody on this planet can recognize the soothing aroma of cinnamon. Yet, like many spices on this list, the health benefits are often surprising. Cinnamon is pungent, sweet and astringent has been a medicinal spice for thousands of years. Cinnamon comes from the bark of different types of evergreen trees, with different varieties coming from all over the world. The majority of the cinnamon you find in stores is Ceylon cinnamon, coming from Sri Lanka. Then there is cassia cinnamon, most often harvested in Indonesia. You might also see cinnamon from China. Like nutmeg and other spices on this list, you are getting many nutrients from cinnamon without realizing it. There are no fat, sugar, or carbs in cinnamon, and it is low in calories. Yet, it contains a good amount of fiber, iron, calcium, and vitamin K.
If you are looking for ways to get more antioxidants, having cinnamon every day is the perfect way to start. 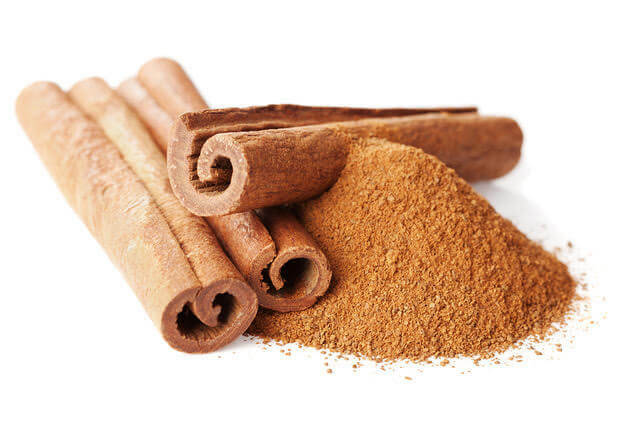 The antioxidants in cinnamon help increase your immunity and boost your immune system. It also helps to fight off illnesses and bacteria, and even help fight against bacterial infections. Inflammation in the body can be painful especially if you have arthritis. It can worsen the pain from chronic conditions like Crohn’s disease and gout and is where the pain in your joints comes from. Cinnamon is a natural anti-inflammatory spice. Use it for chronic pain and to reduce inflammation before it leads to other problems like heart disease. Cinnamon is very beneficial to the respiratory and digestive systems. It helps break up mucus in the lungs, relieving coughs and colds. Cinnamon also aids in digestion and the assimilation of digested food. It is also strengthening to the heart and kidneys. Sprinkle it on sliced bananas or other fruit. People with diabetes often look for natural remedies to use along with their medical treatments. While clove should not replace medical care, it can add to balancing your blood sugar levels if you have type 2 diabetes. This is due to the eugenol in the clove spice. 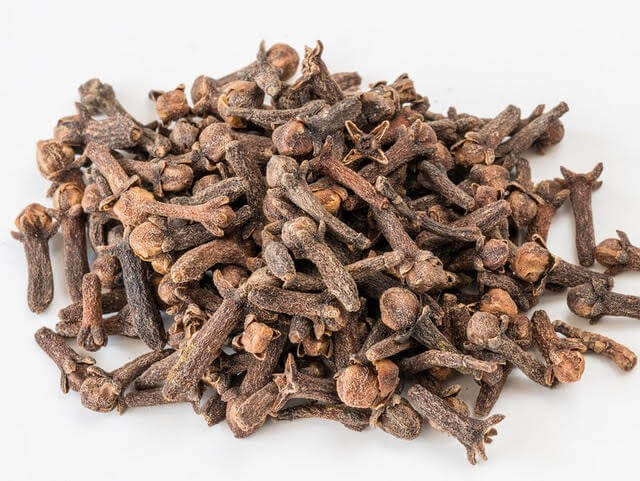 Clove has antioxidants, which can help reduce illnesses, infections, and viruses. Not only does it help boost your immunity, but it can help provide natural treatment for viral and bacterial infections. Use clove essential oil in a diffuser to boost your immune system and ward off viruses and colds. Relieve tooth pain – Place clove oil on a cotton swab and dab on a sore tooth to provide natural pain relief. A good way to tell when clove will be appropriate for more savory dishes is to think about what you use curry in. For example, an Indian dish that is using curry powder, like rice, will taste great with clove as an added spice. Go a different direction by marinating chicken, fish, or other meat with clove and spices like turmeric and ginger. Most Asian dishes include clove. Pierce an onion with cloves and add to broths and soups. Give apple cider a warming note by adding clove and cinnamon. I found it more challenging to find ways to add Clove to my diet until I found these nutrition bars. They are like eating a cup of chai tea!…Only with other healthy ingredients like cashews, almonds, honey, unsweetened coconut, and vanilla! Ginger is one of the best fall spices and one of the most widely used spices in the world. Ayurveda considers ginger a “universal medicine”. It is a MUST in any kitchen. You may already use it to improve your digestion and stomach issues, but it also has many other medicinal purposes as well. 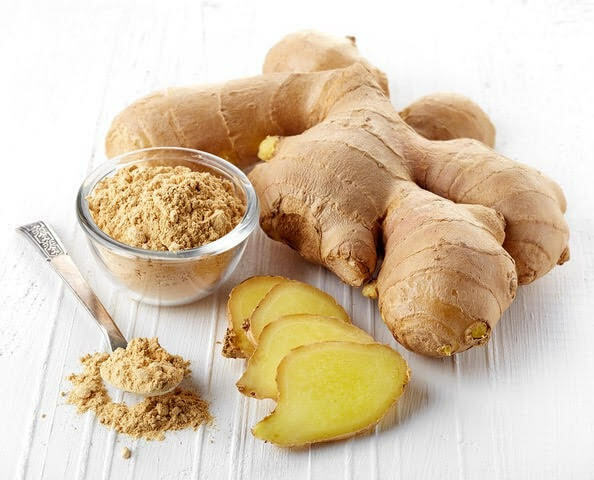 Ginger has a spicy flavor with a strong smell you will notice instantly. It is often found in the spicier Asian and Indian dishes, though there are many other ways to use it as well. Gastrointestinal distress is one of the most common reasons to use ginger. It helps to calm gas and stomach pain and relieve morning sickness from pregnancy. Ginger is a great spice for improving circulation and cardiovascular health. It can help reduce blood clotting which can lead to heart disease and can also prevent strokes. Want a nice boost to your immune system? Add ginger to the other spices that help with your immunity. When you improve your immune system, you fight off illnesses, infections, and diseases in a perfectly natural and healthy way. Ginger also has similar antioxidants as the other spices listed here, so it is good for treating bacterial infections as well. Ginger kindles the digestive fire and improves digestion, absorption, and assimilation of food. Ginger is good on vegetables, rice, and other grains, and to spice up your meat and improve digestion. If you want a drink that includes ginger, try making ginger tea to relieve nausea. You can add fresh ginger to any juice to reap the benefits. Just cut a small chunk and toss it in the blender. It pairs well with apples, carrots, and a little lemon. Make ginger lemonade by adding ginger juice to lemonade. Top it with a few mint leaves and you’ll get a refreshing summertime beverage everyone will love! Take 1 teaspoon of fresh ginger juice and lime juice after food to relieve excess gas. If that seems like too much trouble, pop one of these ginger cubes in your mouth after meals. Fresh Turmeric root looks a bit like ginger root, except it is usually reddish color. Turmeric is the best medicine in Ayurveda. It is pungent and bitter and can be used by all doshas. Turmeric helps digestion, improves gut flora, reduces gas, and has tonic properties. This is the easiest way to use turmeric when you want to have it daily. You can make a cup of turmeric tea, sometimes called golden milk. You can also drink broth if you want something else warm to drink and don’t want to make the tea or the golden milk with your turmeric. This starts with bone broth, chicken or beef broth, then has some ground turmeric mixed in. You can also use turmeric to season any savory dish, like vegetables that you are roasting, or rice, quinoa, and other grains. To add some turmeric into soup or chili, just start with a small amount, then test the flavor to see how you like it. No, it’s not gross! I promise! This is actually delicious and my new favorite way to consume Turmeric every morning. Toss some fresh vegetables (like diced potatoes, carrots, Brussel sprouts) with a chug of olive oil and turmeric, along with any other seasonings you like. Roast at 400 degrees for 30-40 minutes. You’ll never find fresh spices in your grocery store. The spices you’ll find at your local grocery store have likely been there for a year or more and have little medicinal value. Find a company that sells a lot of spices so you know the stock is fresh and of high quality. Every season has certain qualities to it. Fall is cool, light, dry and windy. Spices are a great way to antidote these qualities. In fact, as the weather becomes colder in late fall, it’s beneficial for you to start taking in more spices and warmer foods and drinks. They not only lend character to food, they stimulate the taste buds and digestion. Spices have been used for healing around the world for thousands of years. These disease fighting, antioxidant compounds have so many benefits. They are made from the natural elements Nature gave us to maintain health. So start adding them to your diet today. They are readily available, inexpensive, and easy to use. And, you’re getting delicious flavors while also gaining health benefits at the same time.